Economic Impact and Feasibility Assessment for Integrated Fund Development Plan for Parkland Acquisitions. Public Attitudes on Environment and Land Use Conservation in the Western United States. Resource Dimensions’ team of economists, planners, and social and environmental scientists have assisted communities, counties, states, and various agencies in the U.S., Britain and Canada in developing integrated sustainable community planning processes, policies, and decision support tools designed to aid in implementing a spectrum of local and regional projects and programs. Through such efforts, we have developed GIS‐based asset and issue mapping tools, computer‐based decision‐support tools, sustainability matrices, and a range of aids to facilitate diverse stakeholder involvement through collaborative sustainability processes aimed at anintegrated triple‐bottom line. 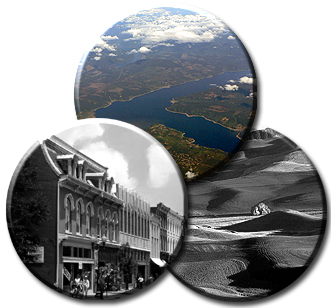 Representative projects include numerous housing, market, and needs assessments; feasibility and community needs analyses; rural economic development and conservation strategies; community and environmental amenity-based economic development analyses; and a variety of fiscal and development impact analyses.